The pneumatic Model 252 delivers next-generation features, functionality, construction and the simplicity of use to ensure the industry's lowest cost of operation. 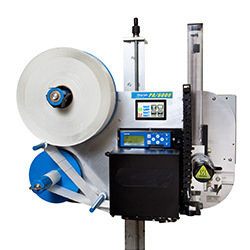 Like it's predecessor, the Model 252 offers a wide variety of options such as tamp or wipe applications, various tamp lengths, various labels sizes, and is compatible with SATO, Zebra, and Datamax print engines. Produce Jet utilizes the speed and quality of the SATO 84-ex print engine to maximize throughput and ensure the readability of the PTI barcode. 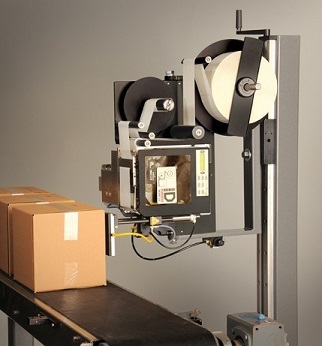 We also offer multi-printer solutions for redundancy, faster throughput, or alternate labels. Read more on the ID Technology website. Also available is the all-electric Diagraph PA6000E applicator. This applicator uses vacuum fans to negate the need for compressed air. The PA6000E features a full color touch screen with job and label management. It also offers a serial or ethernet interface for use of their status and configuration web pages. Read more on the Diagraph website. 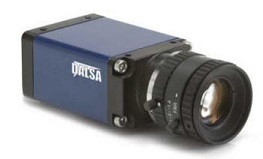 The Dalsa Genie GigE camera features a 1280 x 960, 1/3-in. Sony CCD sensor (6-mm diagonal) running at 24 frames/s. Other features include global electronic shutter with exposure control and on-board flat-field correction to produce crisp and clear images. Genie cameras integrate both advanced camera and board image acquisition technologies to act as a single machine-vision component in one package. This camera takes advantage of gigabit Ethernet technology, transmitting data over standard CAT-5e and CAT-6 cables to distances of up to 100m. All Genie cameras are based on the AIA (Automated Imaging Association) GigE Vision Standard to directly link the camera to a PC. © Produce Jet LLC. All rights reserved.